Second Half ended - Málaga 0, Barcelona 2. Thats all. Game finished - Málaga 0, Barcelona 2. Corner - Barcelona. Conceded by Federico Ricca. Corner - Málaga. Conceded by André Gomes. Brown Ideye - Málaga - won a free kick in attack. Philippe Coutinho - Barcelona - won a free kick on the left wing. Ignasi Miquel - Málaga - won a free kick in defence. Isaac Success - Málaga - won a free kick in attack. Substitution - Málaga. Isaac Success for Diego Rolan. Substitution - Málaga. Brown Ideye for Youssef En-Nesyri. Substitution - Barcelona. Lucas Digne for Jordi Alba. Missed chance. Luis Suárez - Barcelona - shot with right foot from outside the box missed to the left from a free kick. Missed chance. Maxime Lestienne - Málaga - shot with left foot from the right side of the box missed to the left. Assist - Manuel Iturra with a cross. Substitution - Barcelona. André Gomes for Sergi Roberto. Missed chance. Jordi Alba - Barcelona - shot with left foot from the left side of the box missed. Assist - Philippe Coutinho. Offside - Barcelona. Ousmane Dembélé with a pass, however Luis Suárez is in offside. New attacking attempt. Philippe Coutinho - Barcelona - shot with right foot from outside the box is saved in the right corner. Assist - Ousmane Dembélé. New attacking attempt. 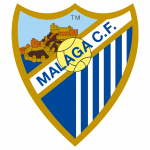 Diego Rolan - Málaga - shot with right foot from outside the box is saved by goalkeeper in the centre of the goal. Assist - Mehdi Lacen. New attacking attempt. Ousmane Dembélé - Barcelona - shot with right foot from the right side of the box is saved in the right corner. Assist - Sergi Roberto. Corner - Málaga. Conceded by Gerard Piqué. Youssef En-Nesyri - Málaga - won a free kick on the left wing. Ousmane Dembélé - Barcelona - won a free kick in defence. Substitution - Málaga. Maxime Lestienne for Gonzalo Castro. Missed chance. Paulinho - Barcelona - shot with the head from the centre of the box is close, but misses the top right corner. Assist - Philippe Coutinho with a cross after corner. Corner - Barcelona. Conceded by Luis Hernández. Shot blocked. Philippe Coutinho - Barcelona - shot with right foot from the centre of the box is blocked. Assist - Sergio Busquets. Missed chance. Philippe Coutinho - Barcelona - shot with right foot from outside the box goes high. Assist - Luis Suárez. Missed chance. Youssef En-Nesyri - Málaga - shot with left foot from the left side of the box missed to the left. Assist - Diego Rolan with a through ball. New attacking attempt. Samuel Umtiti - Barcelona - shot with the head from few metres is saved in the top centre of the goal. Assist - Ousmane Dembélé. Corner - Barcelona. Conceded by Roberto Rosales. Shot blocked. Luis Suárez - Barcelona - shot with right foot from outside the box is blocked. Manuel Iturra - Málaga - receive yellow card for a foul. Missed chance. Ousmane Dembélé - Barcelona - shot with left foot from the centre of the box is close, but missed. Philippe Coutinho - Barcelona - won a free kick in attack. Second Half starts Málaga 0, Barcelona 2. First Half ended - Málaga 0, Barcelona 2. Offside - Barcelona. Paulinho with a pass, however Luis Suárez is in offside. Corner - Barcelona. Conceded by Ignasi Miquel. New attacking attempt. Ivan Rakitic - Barcelona - shot with right foot from outside the box is saved by goalkeeper in the centre of the goal. Mehdi Lacen - Málaga - won a free kick in defence. New attacking attempt. Philippe Coutinho - Barcelona - shot with right foot from the centre of the box is saved in the right corner. Assist - Paulinho. Offside - Barcelona. Sergi Roberto with a pass, however Philippe Coutinho is in offside. Missed chance. Mehdi Lacen - Málaga - shot with left foot from the centre of the box goes high. Assist - Youssef En-Nesyri. New attacking attempt. Philippe Coutinho - Barcelona - shot with right foot from outside the box is saved in the top centre of the goal. Assist - Ousmane Dembélé. Gonzalo Castro - Málaga - won a free kick in defence. Shot blocked. Ousmane Dembélé - Barcelona - shot with left foot from the right side of the box is blocked. Assist - Sergi Roberto. Missed chance. Youssef En-Nesyri - Málaga - header inside of six yard box - left side is close, but missed to the left. Assist - Manuel Iturra. Missed chance. Ivan Rakitic - Barcelona - shot with right foot from outside the box is close, but missed. 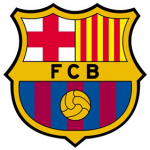 Delay in match Jordi Alba - Barcelona - - injury. Samu García - Málaga - receive red card. Goal! Málaga 0, Barcelona 2. Philippe Coutinho - Barcelona - shot with right foot from few metres to the centre of the goal. Assist - Ousmane Dembélé. Philippe Coutinho - Barcelona - won a free kick in defence. Offside - Barcelona. Jordi Alba with a pass, however Luis Suárez is in offside. Missed chance. Paulinho - Barcelona - shot with left foot inside of six yard box - left side is close, but missed to the left. Assist - Luis Suárez. New attacking attempt. Youssef En-Nesyri - Málaga - shot with left foot from outside the box is saved in the right corner. Offside - Málaga. Youssef En-Nesyri with a pass, however Diego Rolan is in offside. Samu García - Málaga - won a free kick in defence. Goal! 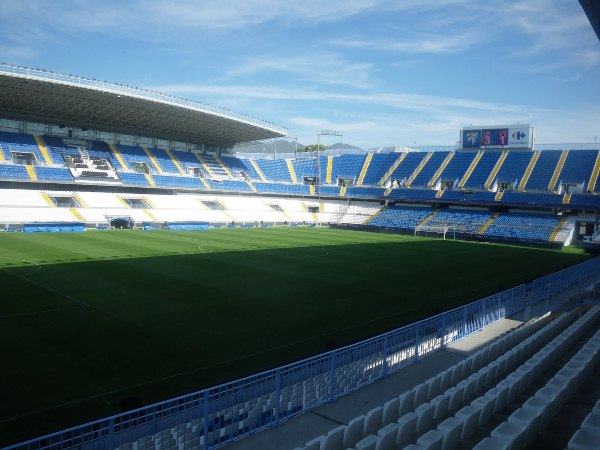 Málaga 0, Barcelona 1. Luis Suárez - Barcelona - shot with the head from the centre of the box to the top left corner. Assist - Jordi Alba with a cross. New attacking attempt. Luis Suárez - Barcelona - shot with left foot from the centre of the box is saved in the left corner. Assist - Paulinho. Sergi Roberto - Barcelona - won a free kick on the right wing. Samuel Umtiti - Barcelona - won a free kick on the left wing. Shot blocked. Philippe Coutinho - Barcelona - shot with right foot from the left side of the box is blocked.